The reputation of Royal Verano Pears is well deserved, as these fruit are aong the sweetest pears to be found anywhere. Royal Verano Pears are large, juicy and as smooth as butter. 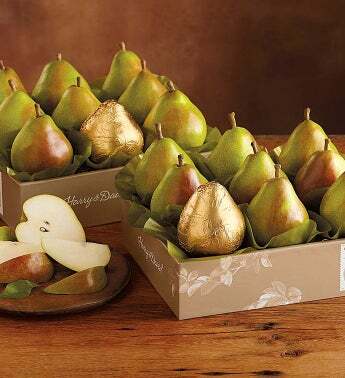 Expertly grown, tended and hand-picked, these exquisite and extraordinary pears make wonderful gifts and are perfect for any meal of the day, but we especially suggest trying them with a slice of cheese at snacktime or after dinner.